In the first part of our "How to Airbnb" series , we shared with you some basics of the platform. We covered what you can expect in an Airbnb place, how to locate it, and discussed the differences between the different room types, including elaborating on what it means to have an "Entire Apartment", as well as a "Private Room." 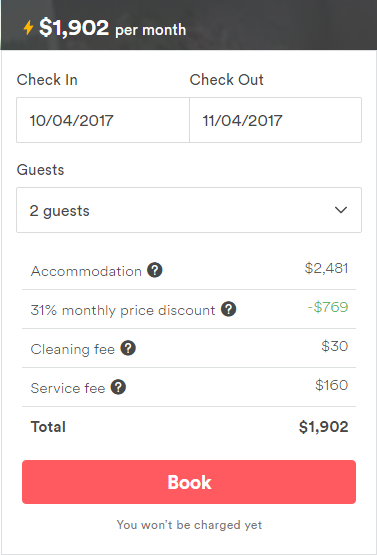 ​ So, on Airbnb, hosts can give a discount for those staying for a week or more. It's quite simple but definitely something you should be taking notice of, especially if you're thinking of staying, say 5 days or more. When you check the price, it will tell you if there is a weekly and/or monthly discount. The weekly discount will be applied for stays of 7 days or more, until the monthly discount kicks in if they have one (which is typically higher). These discounts can offer excellent value, especially if the accommodation's usual nightly rate is out of your price range. Therefore, if you feel you really like a property but it's just out of your price range, check to see what the discounts are and then reassess. 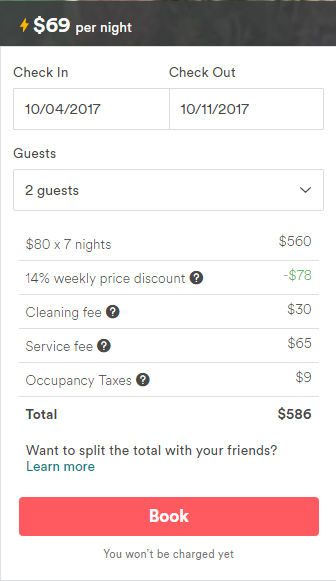 If, for example you are thinking that 5 or 6 days is your budget, you might find that place becomes better value or even cheaper if you stay 7 days. Because we often like to be in a place for some time, a week tends to fit in nicely, so this works well for us. Monthly rentals are aimed at people needing temporary housing to be in a place for short term business or as a way to find a house if they've moved. The monthly discounts allow the price to come down to a level closer to an actual lease. So don't forget to take a look at Airbnb if you're in that category! More often than not, the owner, or someone they know, will be present when you arrive. This can be for a few reasons. One is that it exhibits a personal touch, so that they can greet you and welcome you to their home and show you about the place. They might also like to see who is going to be occupying their place. Or it's simply because they live there and it's easier! Overall, it's a nice concept to meet the owners and get that individualised attention when you arrive. But sometimes it's not what you need, especially after a long journey and all you want to do is have a shower and go to sleep. 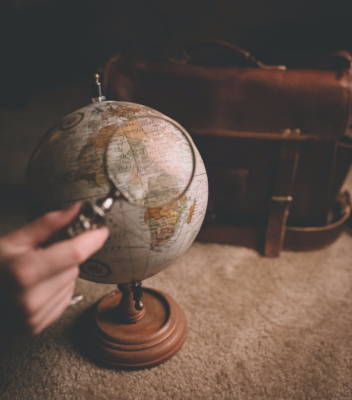 ​We have seen a growing number of places (especially the investment-type ones we talked about in Part 1) that have a key code system to enter the place. Typically, the owner keeps the keys in a lock-box outside the house with a code, or lately we've actually seen key codes on the doors themselves. The owner gives you the code before you arrive and then you take care of yourself. Usually, the reason they do this is because they own the property, but live somewhere else. Hence, the "investment" theme indoors too. This arrangement makes it feel more like a hotel in that sense, because you just turn up and enter the property. ​​ As we mentioned in the first article, every Airbnb has its own distinct character , thanks to the owner's input. The same extends to what amenities there are in the place. It really depends on what the owner can provide. Of course, you can select them when you search for a place to stay. Just make sure you read the accompanying description from the owner as well as reviews from others. ​For example, the owner may list they have Wi-Fi. There have been a few occasions where the advertised Wi-Fi has been very poor. Either it only worked at certain locations in the apartment, or not at all! On every occasion, we contacted the owner and they did do their best to rectify the situation. But it made the situation uncomfortable and, moreover, took time and effort to deal with something that should already have been in place. It might not sound important to some people, but the fact is that it was advertised and for people that rely on these things, it becomes paramount. We want to add here that poor Wi-Fi is more likely to occur in a remote area and that is where we study the reviews more closely. Study photos for clues on size and location - what can you see outside the window...? Check how far nearby landmarks are on a map (not relying on the description) - are you REALLY on the beach when it's 1 hour away? Check out surrounding places and see if you can find additional information there. Does the description sound realistic - does it correlate with photos and reviews? See if the host is a "Superhost", meaning they have a lot of reviews and are considered reliable. We have one more article to go in our 3 part series. The third part will discuss issues with hosts and 5 mistakes to avoid. While unpleasant, such things can occur. So we will share from our experience what to do in these situations.